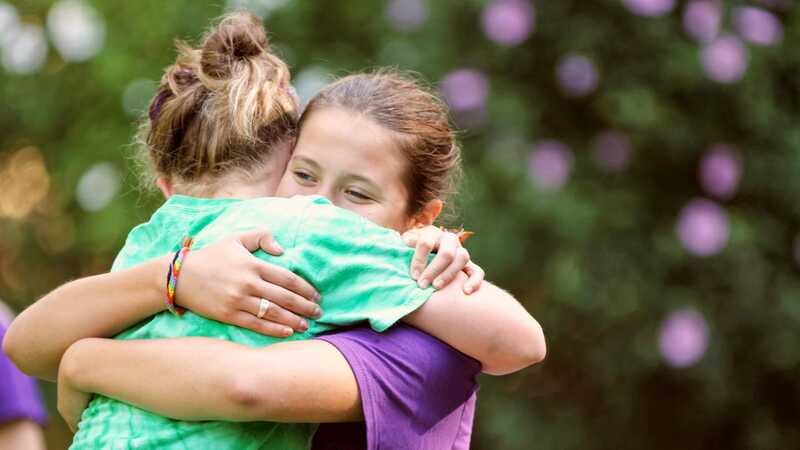 Merri-Mac is fifteen minutes east of Asheville and we love for parents to come when they check in their girls. Campers may fly into and out of the Asheville airport. The Asheville Airport is about 45 minutes from camp and arrival and departure for campers should be between 8:00 AM and 3:00 PM. Campers arriving by plane will be met by camp personnel in camp vans. These staff members will be wearing Camp Merri-Mac or Camp Timberlake shirts for identification purposes and your children will be in their care both to and from the airport. While baggage may be sent on the airline we recommend that you ship all checked baggage via UPS. Campers arriving by vehicle, should plan on arriving to camp during their designated check-in window, shown in their camper packet. Smiling counselors will wave cars into camp where they will park and walk to check in at the chapel. We are on a mountain so be sure to wear comfortable shoes!